With the Ready Pack Lawn and Garden Kit from Hafele, you'll spend less time digging through the shed and more time digging in the dirt. 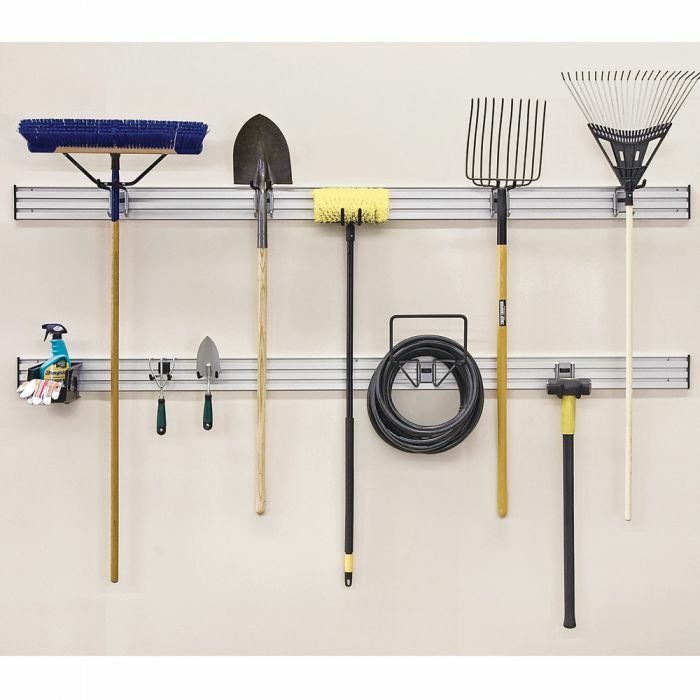 Just slip this set of rugged hooks and bins onto Hafele's solid, sleek-looking aluminum Track Kits (pictured, sold separately below) and slide them around for the ultimate in flexibility and space efficiency. Hooks are solid steel with a non-slip rubber coating; the included Cover Caps slip into the base plates to secure the hooks in place. Lawn and Garden Kit includes 9 hooks of various types, 1 storage bin and 12 cover caps (see More Info tab for complete listing, as well as Track Kit contents). Track Kits are sold separately in either 48" or 97" lengths.